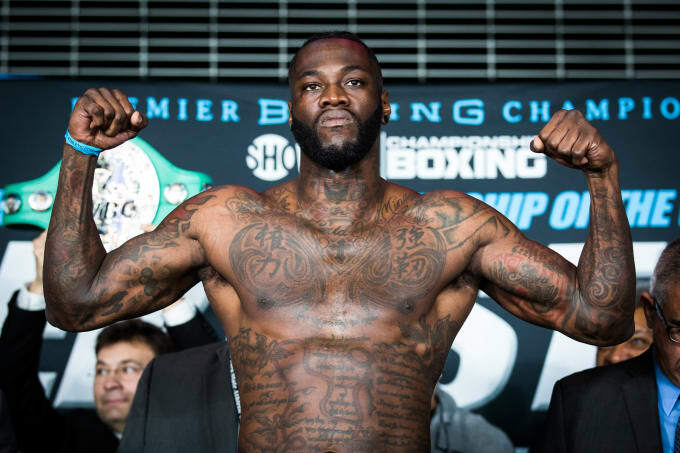 WBC heavyweight champion Deontay Wilder 40-0-1 (39) has reacted to the announcement that unified heavyweight champion Anthony Joshua 22-0 (21) will face Jarrell ‘Big Baby’ Miller 23-0-1 (20) in his US debut at New York’s Madison Square Garden on June 1. Wilder and Joshua have a chequered history after their very public and messy fight negotiations broke down last year amidst recriminations from both sides. The undefeated American scoffed at Miller as an opponent, saying he is not even known in his own hometown. “Jarrell is still an unknown fighter here in America,” Wilder said to talkSPORT. “Jarrell is from Brooklyn and stuff like that, but they don’t even know him in his own city. “The people that does know him, they know about $50 million, they know about the story of the $15 million flat and why the fight is not happening. The 33-year-old ‘Bronze Bomber’, who is coming off a draw against lineal heavyweight champion Tyson Fury 27-0-1 (19) in December, believes the only crowd that will show up for the Joshua-Miller fight will need to be flown in from the UK. “I don’t think they’re gonna get the outcome that they’re expecting is gonna happen,” Wilder continued. “I know they’re expecting the English to come over and support it big, but it shouldn’t be that way.